Whew, it's been a while since I did one of these! And more importantly, this will be the last Nail School Diaries update ever, as I finished training as a nail technician last month. In fact, I was first in my class to finish, with three weeks to spare! (One-two-three GEEEEEEK). My salon and YouTube are all a go and there are lots of exciting times ahead. Could you get a student loan? How many days a week was it? What was the class like? Was there any cattiness? What was the hardest and easiest parts of training? Was it easy to make friends with your classmates? What were the teachers like? What was the best and worst parts about the whole experience? Where are you going from here? Also, there was a spider. A dead one, and I hate dead stuff, and I completely forgot about this incident until I went to edit and realised I had caught my reaction on film... it made for some fun editing. You can watch the video here and below, and please subscribe to my channel ♥. ^ Check out my photoshopping skills. Betcha didn't even know that rain was fake. #WINNING. 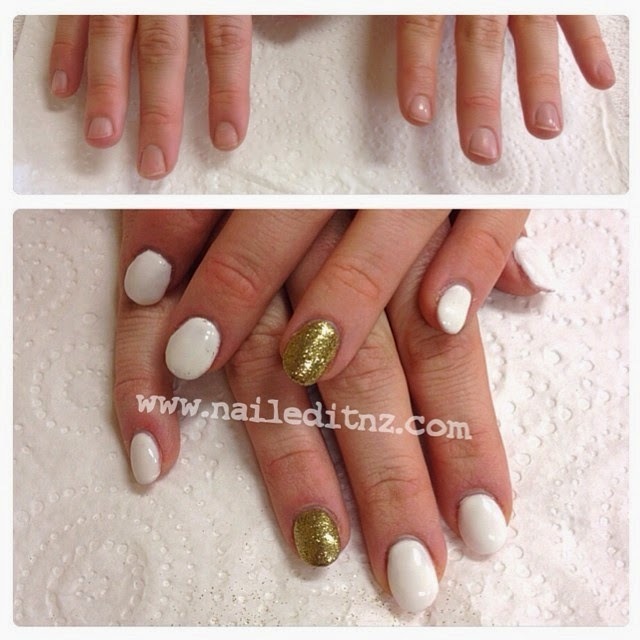 So, what did we do at nail school in the last eight weeks? A lot of it was much of the same - more sculpting, more tips, more pedicures, more assignments. That's why there was such a big gap in between these updates, plus I was very busy trying to get it all done. I did a lot more sculpting, and finally started getting somewhere. Now to perfect my technique and get my time down! Still not amazing, but much better than before! This was a couple of months ago too, and I've made some decent progress since then. I post everything on to Facebook and Instagram, so keep an eye out there for my more recent work. What really overshadowed everything else though, was learning hard gel. It's such a strange substance! Just when I was getting using to liquid and powder, BAM here's something new. I do quite like hard gel though - it's not smelly, unlike L&P, and it has such a natural finish. 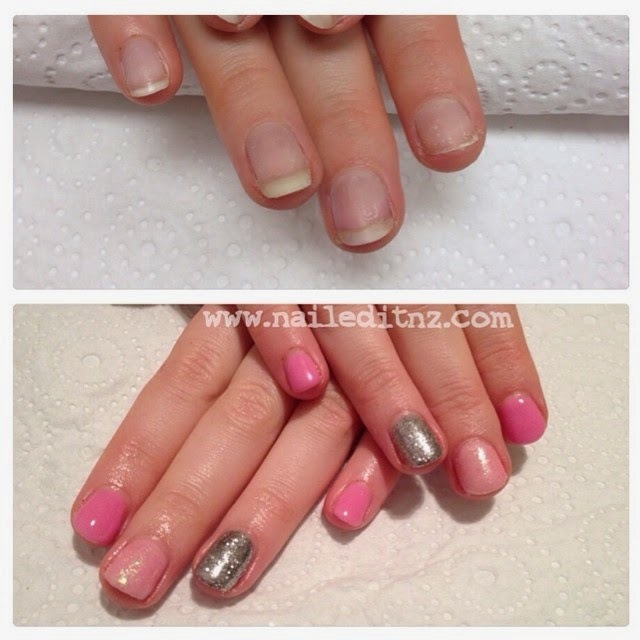 The only thing that puts me off it is the removal - hard gel is much more for people who want long term enhancements on, as you can't completely remove them without damaging the natural nail - it doesn't soak off, and you need to leave a thin layer on. This was quite frustrating for me. Here are a few sets of hard gel I've done. Ugh, I can't look at these now without wanting to get a file and get those sidewalls down! Rebalance of the previous nails. Done only after a week so I could pump out assessments - that's why there's not much growth. These ended up a bit better. 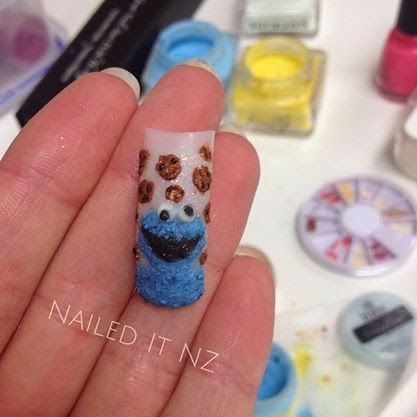 Cute nail art on this one! Then we had a whole lot of hard gel removals to do, my fav... Here's one example. I also had a few pedis to finish off... love that paraffin wax! This lady LOVED her polka dots! And that was it for the assessments. I just had a few more theory based things to do - like pull together a few displays and finish my last assignment. We had a little look at nail art, but I didn't really learn anything new. I got to show a few of my classmates some of my tricks though, and it's always fun playing around. I went hard out the last few weeks, and when I finished early I was pretty happy. I still went into course a few times to make sure I wasn't missing anything, but everyone else was just finishing their own assessments. The best part about finishing early is that I got treated - my friend gave me an amazing pedicure! Love those things, so relaxing and luxurious! And so that was it. It's over, it's done. It was actually done a few weeks ago, I've just been trying to find time to write this post and get the corellating video up. It's strange, nail school was my whole world for most of the year, and now... it's gone! I loved it though. Best schooling experience yet, I think, it was just so me - I never had to search too hard to find motivation. I'm glad I maintained my passion throughout, I was a little worried that I'd be totally over all the filing after week two, but thankfully that wasn't the case. Filing is NOT my favourite thing though. I doubt it's anyone's. Nail art, though, that's a whole different story ☺. 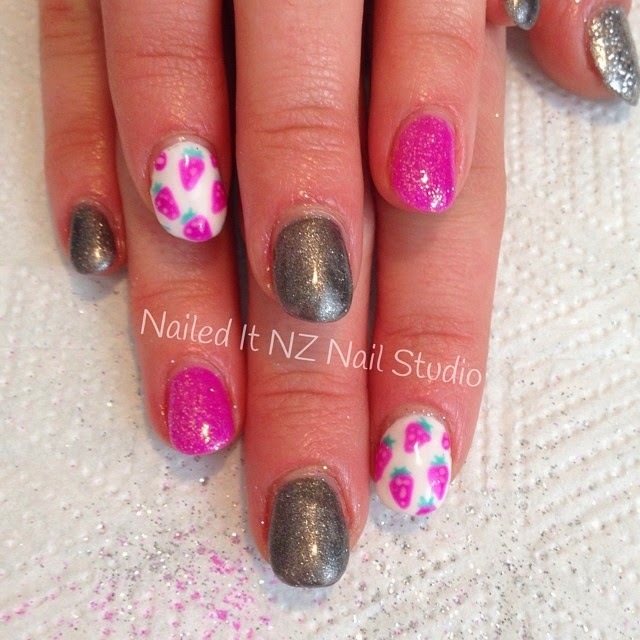 Hope you've enjoyed following my experiences through nail school! It's been awesome sharing it with you, and if I ever do anything similar I'll be sure to keep you updated. I'll link to a bunch of related posts and videos, if you're new to the Nail School Diaries posts and want to learn more. Great to see all the progress and you finishing the program! Jessie, congratulations on your achievement. It sounds like you finished at the top of your class! Good luck with your salon and please keep your readers updated on how things are going for you. I personally love seeing the photos of your work on various clients (I'm sure you have to get their permission to post those!). Yup, I've got a form my clients sign saying whether a) I can use the picture online and b) if I can use their first name :). thanks! Ice Bucket Challenge | Feat. my Mum and Sister!